I found this still running 1954 Chevrolet parked behind a barn yesterday afternoon. The setting sun was shinning through the back window and I liked the colors and textures. I’ve been thinking about setting up a photo blog and having used Word Press in the past I came here to try it out. I’m not sure how long the process will take but in the mean time I wanted to have a first post and include a photo to see how it looks. I might try other themes or have one custom-made. 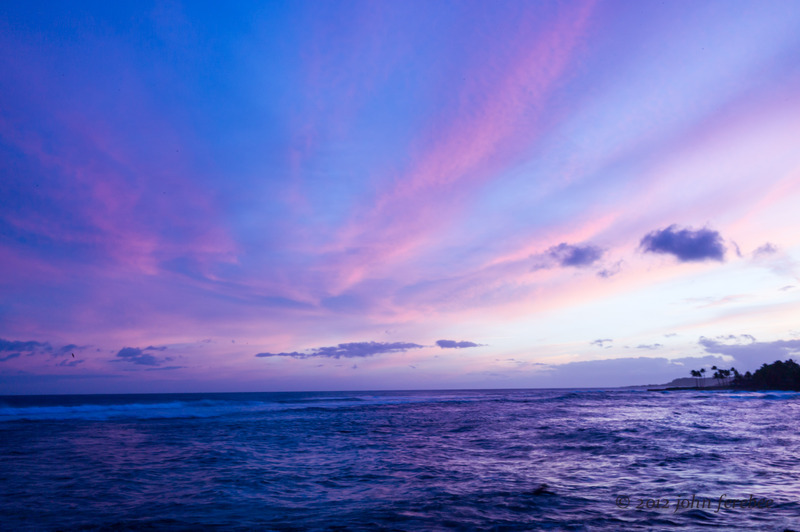 In the meantime enjoy a Kauai Sunset.